The Choral Arts Society of Washington is presenting a unique production called “Into the Light” on April 5th and 6th at 8PM at the Dupont Underground under the Artistic Direction of Scott Tucker. The concert features the Choral Arts Chamber Singers, Scott Tucker, conductor, the Choral Arts Youth Choir, Brandon Straub, conductor, the New Orchestra of Washington and the Aeolus Quartet. Featured artists include Heather MacDonald, soprano and Robert Schroyer, marimba. The Dupont Underground is a former below ground streetcar station which has been transformed into a public “artspace.” The setting will enhance the appreciation of Steve Reich’s “Different Trains” a three-movement pieced composed for string quartet. Reich wrote the piece while living as a young American Jew during the time of the Holocaust. The performers will be moving from one end of the underground to the other during the performance. Moveable barriers will be used to guide the audience. In addition to this piece, the concert will also consist of works by Hildegard von Bingen, Gregorio Allegri, Samuel Barber, Ben Parry, R. Murray Schafer, Sarah Hopkins, Knut Nystedt and Scott Tucker. Information and tickets are available online. I had the opportunity to interview Jay D. Brock, Production Director. 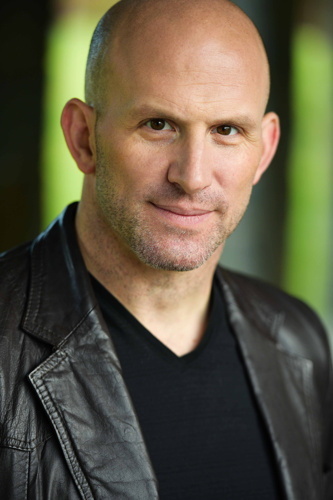 Jay D. Brock is a critically acclaimed award-winning director of plays, musicals, and operas spanning both coasts. Recent credits include the OFF-BROADWAY revival of Spike Heels produced by Howl at the Moon Productions/Chase-Avon Productions, the regional premiere of F#@king Up Everything produced by Off the Leash Productions/New Musical Foundation at The Woolly Mammoth Theatre Company, and the regional premiere of Sisters of Swing with NYC’s Infinity Theatre Company. Full regional credits here. Jay’s directorial work has been described by the press as, “theatrically inventive,” “quite powerful,” and “with very strong applause.” Jay has been working nationally as a freelance director of plays, musicals and operas for over twenty years and currently resides in Washington, DC. His portfolio contains a wide range of credits including modern plays, musicals, operas, classical theatre, and he is always excited to take on the specific challenges of new works. Jay particularly enjoys directing projects that present an opportunity to facilitate a conversation. He believes that this conversation begins with the director and the other collaborating artists and is then expressed through the work of the actor. Jay utilizes inspiration and ideas from all sources and seeks collaboration from every discipline. The goal is to bring something honest, beautiful, or relevant to audiences in a powerful way. His work has often featured stylized movement, puppetry, ensemble creation, original music, dance, and multi-media. Can you give us some basics about your background? Where are you from originally? Where did you get your training in theatre and/or music? My training is actually rooted in classical theatre. I was formally trained at the University of California outpost college, trained at the Stella Adler studio in Los Angeles and with SITI company in NY on Viewpoints technique. I, actually, do not have a formal background in music – I started working early on as a director of operas and musicals and learned about music mostly by making grand mistakes. I was offered a position as a professor in the Musical Theatre program in the former School of Music at The Catholic University in 2012 and have worked to bolster my understanding of music and performance ever since. Who were the people in theatre and music who have influenced your work the most? My work has been highly influenced by Anne Bogart who formulated the Viewpoints acting technique – my training with her has been highly influential in my work as a theatre practitioner and artist. I would also give a lot of credit to the music faculty at Catholic University who have all helped me grow a practitioner and artist. I would also give a lot of credit to the music faculty at Catholic University who have all helped me grow and love music in all of its forms. How do you view this project differently from other theatrical and musical projects? Well, it’s completely different than anything I have ever worked on or experienced, which is what makes it so exciting. You can’t really even label what this is – it’s part choral concert, part theatre production, part immersive experience, part performance art. I have not had any reference point with which to compare this project and I am confident that the audience will feel similarly. Did you have to think out of the box to produce a performance in this unique forum or was it more traditional than it would seem? The elements are familiar but the combination of elements and space required unconventional thinking and collaboration. First order of business, when I was hired, was to bring my long-time collaborator JD Madsen on board as the Production Designer. I knew he had the artistic scope and broad creative thinking to oversee the design and technical aspects of this event – so far, he has not disappointed. We are on the eve of tech. So, I anticipate many problems that will require creative solutions before we get to the finished product next week. What do you want the audience to feel coming out of this concert? So much of the work I do has a clear message or an agenda, and while there are strong themes in this event that have driven the artistic choices, I think it’s meant to be something that just allows the audience to experience music in a more visual way. The event is designed to enhance the overall beauty of the choral material, to create an event in which the audience shares a common experience that engages their senses and maybe gets them to forget about their stresses for a few minutes.